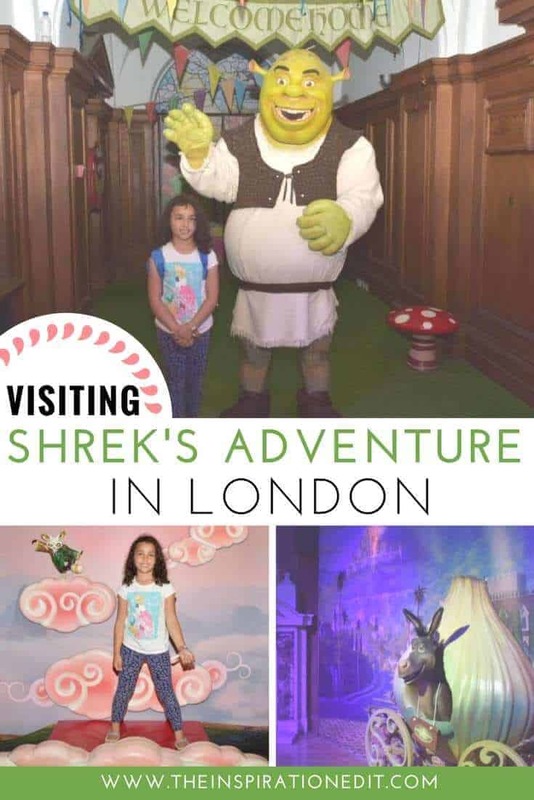 When Sylvia and John visited Shrek’s Adventure next to the London Eye they had a fantastic time. 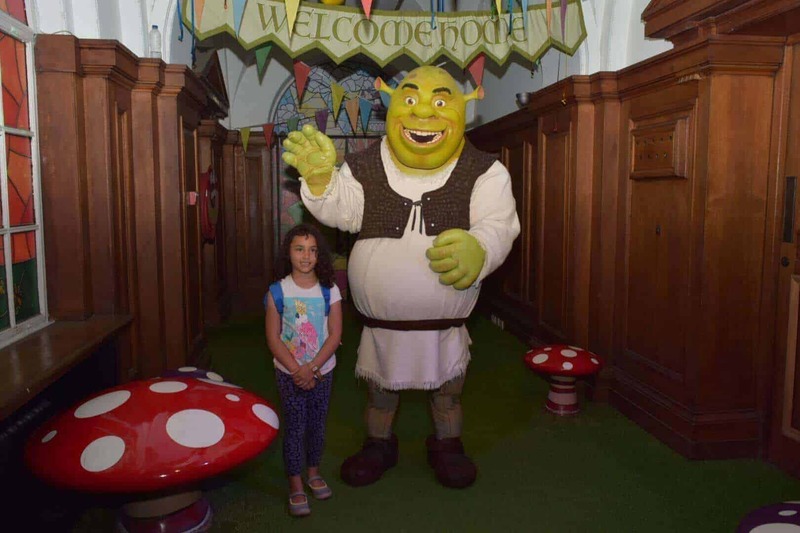 Shrek’s Adventure is one of London’s newest Family attraction and Sylvia absolutely enjoyed it. The Journey began with the children hopping on a magical 4D flying Bus which was being driven by the one and only Donkey. Sylvia found this really fun and exciting. 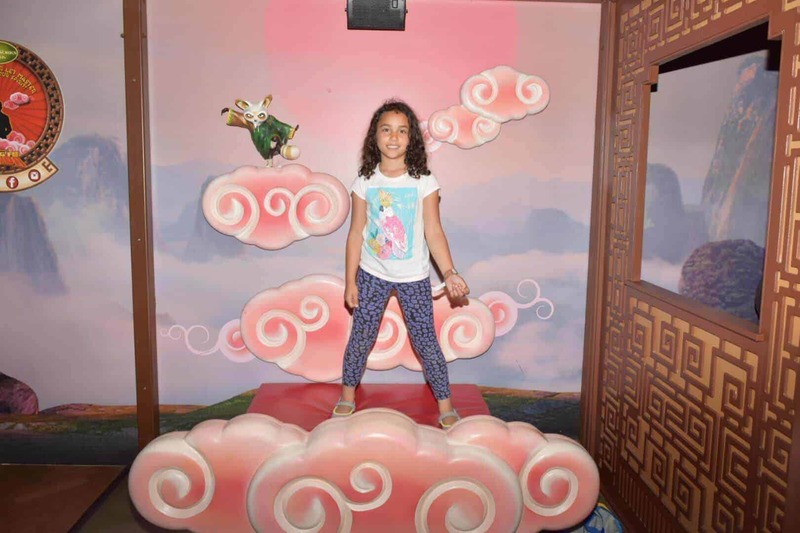 She loved going on the 4D Journey. Following the Bus Journey the adventure continued with different fairy themed shows performed by fairy tale characters. The first character was Cinders, also known as Cinderella. She had been fighting with the fairy god mother and was accidentally sent back in time never to be Cinderella again. The shows continued and more characters were met including Rumplestiltskin, Sleeping Beauty, two witches and Fiona. There were plenty of interesting characters and stories to follow through Shrek’s Adventure Journey. 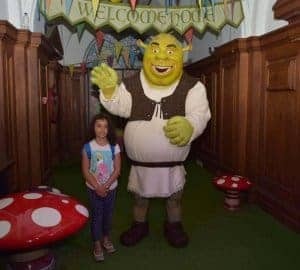 Sylvia really enjoyed visiting Shreks Swamp and visiting the Mirror maze. Sylvia said she and daddy got stuck in the maze but Sleeping beauty helped them to find the way out. 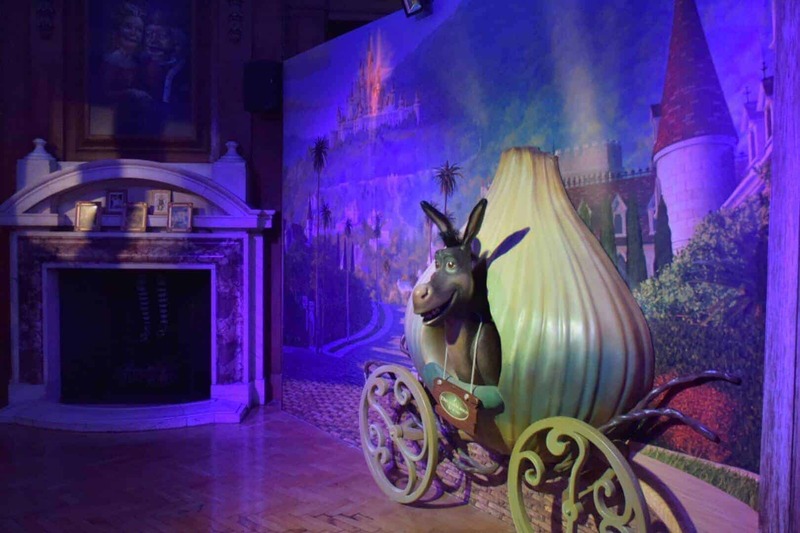 The Journey ends with Shrek helping the audience to get out of prison and the tour finishes in the souvenir shop. Sylvia said it was a brilliant adventure. It wasn’t scary and she had a lot of fun. 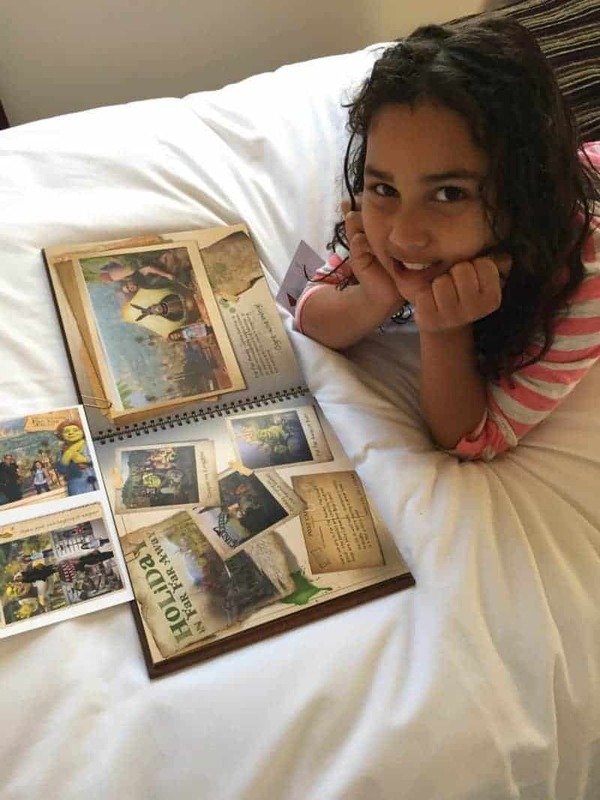 The adventure is recommended for children ages 6 upwards. It was a fabulous adventure and Sylvia gave it a 10 out of 10. She could not stop talking about all evening and explained every single detail. 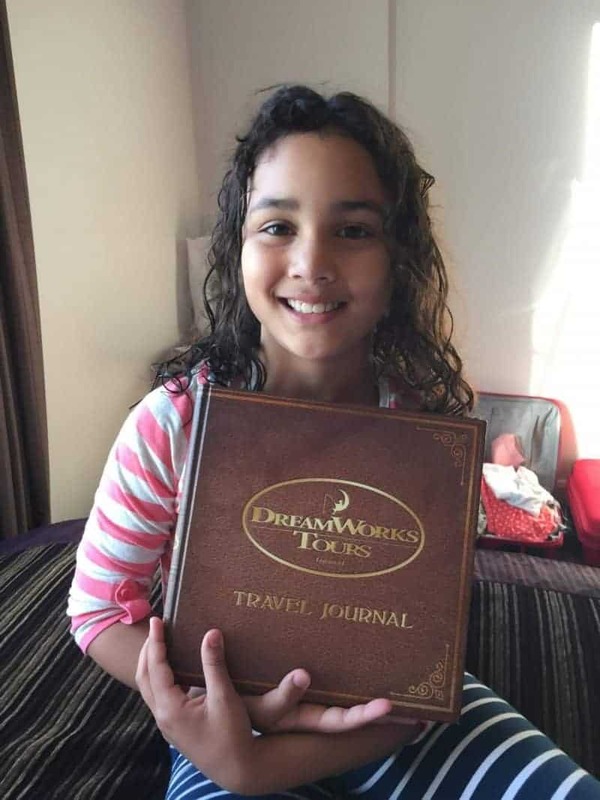 Sylvia was able to purchase an amazing Dreamworks Travel Journal detailing the Shrek’s adventure and it also had plenty of photos of Sylvia and her dad John which were taking during the visit. 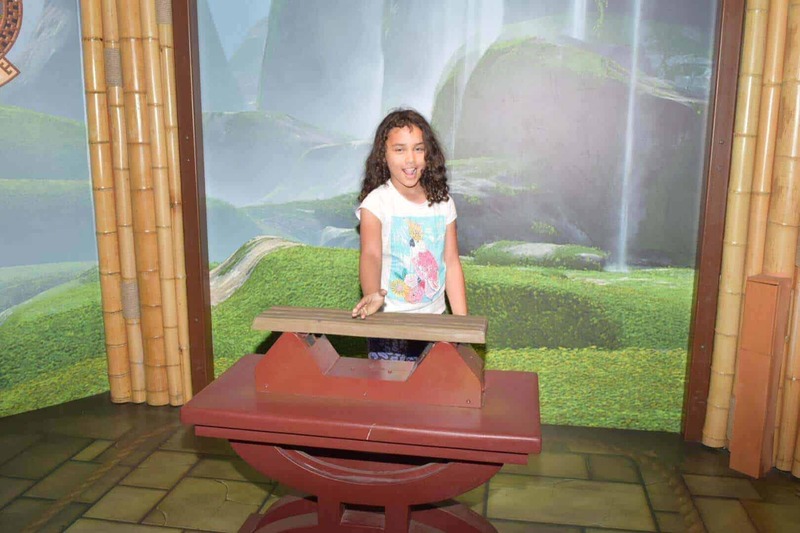 Shrek’s adventure was a big hit for my daughter and she is super excited she cannot stop talking about it. 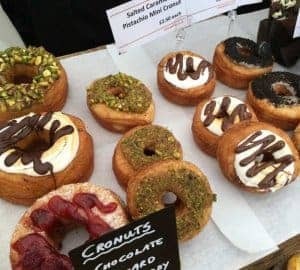 This looks like a must for any shrek fan! It looks like a lot of fun! Sylvia had a fantastic time. It was Shrektacular! I know. 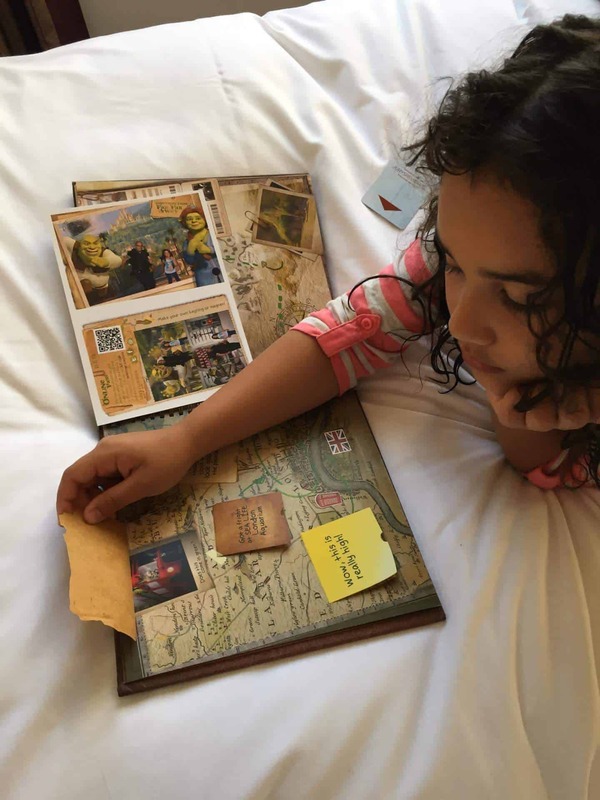 I think the travel Journal is awesome and yes it was a lovely keepsake for Sylvia. Oh thats fantastic Kim. The journal is great! Thanks Candace. The book is fantastic. yes, it was lovely to see the book especially as I could not physically go. Looks like so much fun! A fabulous day out. Yes Sylvia has a smashing time.